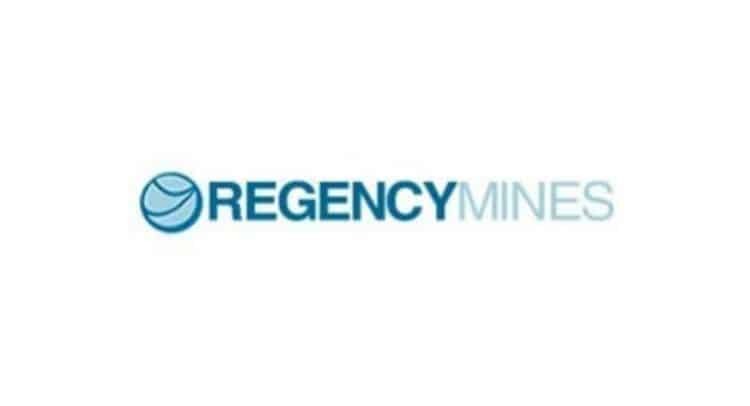 Regency Mines Plc, the natural resource exploration and development company with interests in hydrocarbons and battery metals announces that an option (the “Option”) has been secured to acquire a 50% interest in a North American vanadium project (the “Project”), and that the Company has advised the Greenland authorities of its intention to surrender niobium-tantalum License 2014/01 at Motzfeldt, Greenland, at the end of 2018. · The Company will provide detailed information on the transaction in the event of successful due diligence and exercise of the Option. Andrew Bell, Chairman of Regency Mines commented: “As we exit Greenland having concluded that the niobium-tantalum project there was non-core, we are pleased to have secured this Option for Regency Mines which if exercised gives the Company exposure to a Vanadium exploration opportunity in North America that lies squarely within our battery metals focus and complements our nickel-cobalt asset at Mambare. Vanadium as a commodity has attracted considerable interest, with vanadium pentoxide prices rising by circa 700% over the last three years. The Chinese rebar mandate increasing vanadium content of higher quality steel combined with the increasing utilisation of vanadium-redox flow battery technology is expected to provide pressure on vanadium supply going forward. A successful project in vanadium could provide Regency with three main pillars of value within the Company. The vanadium project would provide a high potential impact exploration opportunity. At our 50% owned Mambare project we have a significant JORC compliant nickel/cobalt deposit. And we have a revenue generating coal production asset through our 47% interest in Mining Equity Trust LLC. Vanadium is a vital additive in the steel alloy and chemical industries. Traditional demand for vanadium is growing due to rapid infrastructure development in emerging economies. Demand is also expanding in new technologies including super alloys used in the aeronautics and ceramics industries, and in energy storage applications. In particular, vanadium-redox flow batteries (“VFRB”) provide efficient storage and controlled released of energy in renewable power generation systems. The two end-use commodities of vanadium production are ferrovanadium (FeV), an iron-vanadium alloy used in the steel industry, and vanadium pentoxide (V2O5), used for most other applications including VFRB. Approximately 70% of “primary” vanadium supply is actually a secondary product derived from reprocessing slag generated in steel mills. The remaining 30% is extracted from several different types of mineral deposits and is largely produced as a co-product or by-product of other commodities. These deposits include vanadium-titanium-magnetite (“VTM) deposits, sandstone hosted vanadium (with or without uranium) deposits (“SSV”) and vanadium-rich metalliferous black shales (“BSV”). VTM deposits are currently the largest and most important vanadium producers. Such deposits consist of vanadium-rich sequences of iron or iron-titanium oxides found in large layered magmatic intrusions. Typical grades range from 0.2 to 1.2% V2O5. However these are complex deposits with the vanadium tightly enclosed within ilmenite or magnetite. Not only is metal tenor important, but oxide mineralogy, grain size and intergrowth texture are all critical factors for efficient production of V2O5 concentrate. Deposits of this type are presently mined in Brazil, China, Russia, Scandinavia and South Africa, and large deposits are currently being developed in Eastern Canada and Western Australia. SSV or Uravan deposits, where uranium, vanadium and other metals were dissolved, transported and deposited near-surface by the circulation of meteoric waters, are a small but important source of vanadium as a by-product of uranium mining on the Colorado Plateau in the American Southwest. Typical grades range from 0.2 to 1.7% V2O5. Vanadium-rich black shales are found mainly in late Proterozoic and Phanerozoic marine basins that were deposited in epeiric (inland) seas and on continental margins. Grades in BSV deposits typically exceed 0.2% V2O5 but can be as high as 1.8% V2O5. These deposits are marked by large areal extent, steady grade, consistent geometry and simple mineralogy, all of which favour low-cost mining and processing methods. Two large BSV deposits are currently being developed in Nevada, and dormant deposits are known in China and Madagascar. Related to BSV deposits, significant amounts of vanadium are recovered as by-product of coal, oil sand, and oil shale processing, and petroleum refining. The Company acquired this project in 2014 and changing market conditions and Company priorities have meant that it has done limited work since. The book cost of the asset being relinquished is £40,403. Application is being made to AIM for 5,000,000 new ordinary shares issued and allotted in relation to the Option fee, which will rank pari passu with all existing ordinary shares (the “Option Shares”), to be admitted to trading on AIM (“Admission”). Admission is expected on or around 12 December 2018. Following the issue of the 5,000,000 new ordinary shares, the issued share capital of the Company consists of 796,239,654 ordinary shares of 0.01p each with voting rights. No Ordinary Shares are held in Treasury. The above figure of 796,239,654 may be used by shareholders as the denominator for the calculations by which they will determine if they are required to notify their interest in, or a change to their interest in the Company under the Disclosure and Transparency Rules.